I have found movies a great resource for painting subjects. 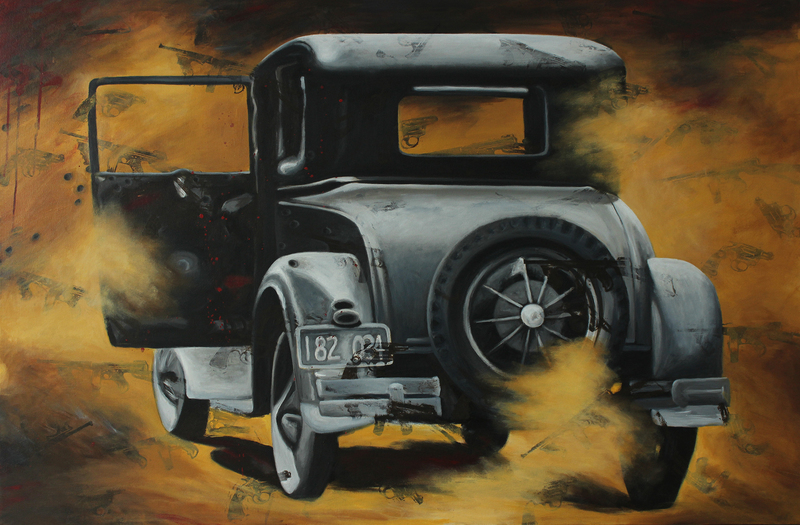 This piece was inspired by the story of Bonnie and Clyde. The task of trying to create a mood or evoke an emotion, from a mostly metal object, can be a challenge. But challenges can be fun and the research involved in creating this piece was just that…fun. Next postWhadda ya want, I planted a garden!